Available for min 2, max 4 pax. Bulgarians use to welcome their guests with salt and bread and this small detail can show you, that food is hospitality in this country. Actually, culinary goes hand by hand with culture and traditions. You simply can not understand completely this culture if you not get aquaintance with local culinary habits and traditions, that are a blend of different Balcan’s cuisines. Pay for the course and you will have tasty lunch/dinner prepared with your participation. Guaranteed courses all year round (upon availability). Free cancellation 3 days before service. Free amendment 1 day before it. A glass of wine complimentary. What about making one more step and trying to cook some dishes by yourself? We don’t invite you to attend a cooking class with a famous chef, we offer you to meet the locals and to cook just like them, a real home cooking, that reminds taste of real food and culinary traditions of our forefathers. 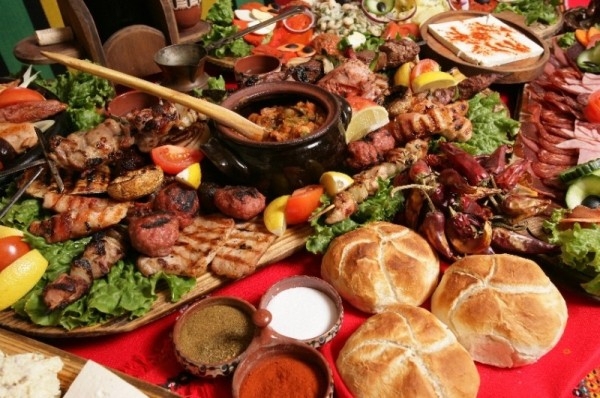 You will cook 3-corses Bulgarian meal and will enjoy your lunch/dinner of homemade local food with a complimentary glass of appealing local wine. If pick-up – hotel/accommodation details. You will receive your exact pick-up time. We will send you a link to pay online with your credit card or you can use your PayPal account. Be ready 10 minutes before departure time (if a pick-up is included). Give us your e-mail address and we will send you a secured link for card payment (Visa, Mastercard, Maestro, Dinner club).